The amount of plastic ending up in the ocean is set to treble in a decade without action to curb the problem, a major report has warned. 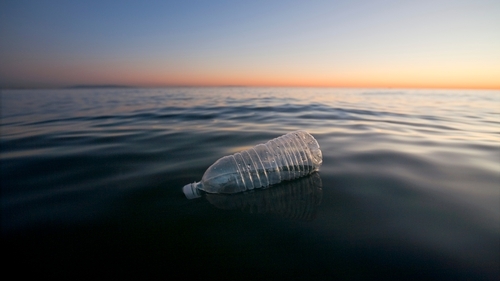 Plastics is one of a number of environmental issues facing the world's seas, along with rising sea levels and warming oceans, and metal and chemical pollution, the Foresight Future of the Sea Report for the UK government said. But it said there are also opportunities to cash in the global "ocean economy" - which is set to double to $3 trillion by 2030. There are major opportunities for robotics, artificial intelligence and automated technology to fill gaps in understanding of the oceans and how best to manage them, the experts said. For example, the submarine Boaty McBoatface has recently completed an unmanned mission under Antarctica's ice shelf to assess whether the ice is melting from below due to warmer seas. Satellite technology can prevent illegal fishing and autonomous underwater sensors can check if carbon dioxide is escaping from subsea carbon storage facilities. Work is also beginning on the impacts of plastic in the ocean, as experts are not sure what threats it poses, Professor Ian Boyd, chief scientific adviser for the Environment Department said. But he added: "Even in absence of research, there is a precautionary principle to take here, which is we should minimise the amount of plastic, both macro-plastic and micro-plastic, going into the marine environment, in order to make sure that if there are toxic effects, those are being dealt with." He said: "When people get to see what is in the ocean, and the Blue Planet series and so on have helped people to visualise it, and then I think their reaction is two-fold, one is complete wonder at what is there, and in other cases complete horror at what we're potentially doing to it. The oceans could provide new medicines, minerals and energy, he added.